Interested in seeing what Evolution Wheel has been up to? Check out our recent news articles and stay up to date on everything Evolution Wheel. Skid-steer loaders need to be able to operate in some of the harshest conditions on the planet. 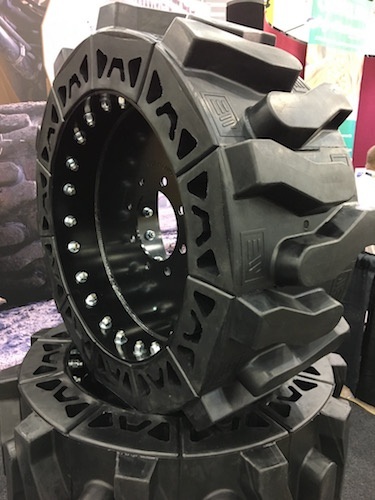 This is why Evolution Wheel, a Canadian manufacturer of wheels and tires for skid-steer loaders and new member of the My Inner Strenx program, uses Strenx steel to set itself apart from the competition ..... Read More. Article written by SSAB on June 7, 2018. 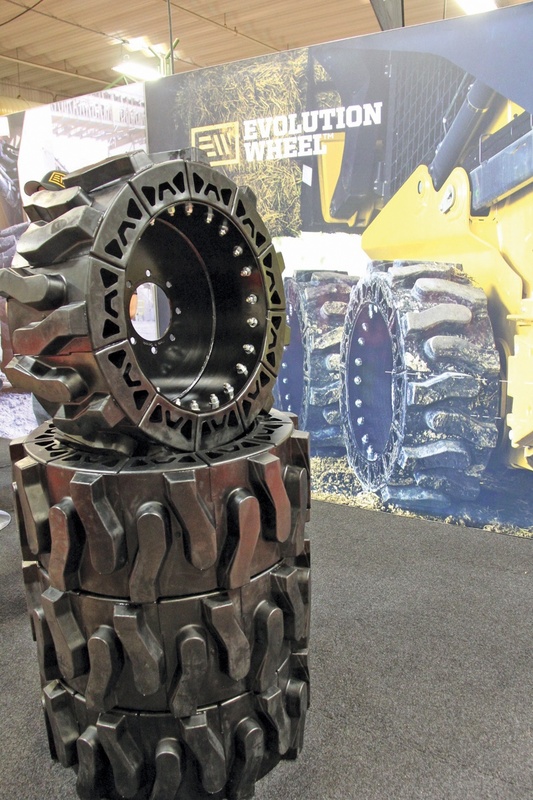 Solid rubber skid steer loader tires have been around since Cat introduced them in 2000. 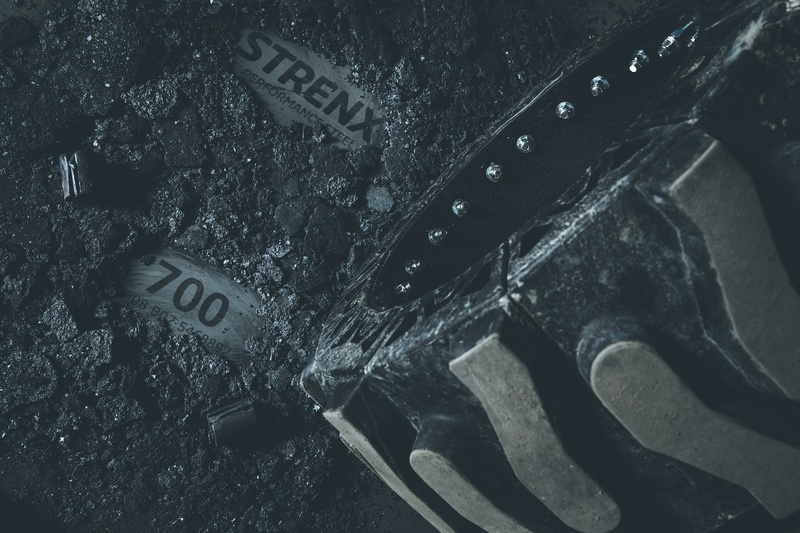 But now, the three key drawbacks seen previously — short lifespan, rough rides and poor traction — have been addressed by the latest tire technology ... Read More. The EWRS series of non-pneumatic tires were designed to meet the needs of today’s jobsite demands. With serviceable tire sections, the need for a service truck and specialized technician has been all but eliminated. “We have reduced your service tooling down to only a ¾ inch wrench in the back pocket of the operator and repair parts are readily available at the nearest onsite storage container or the toolbox of your pickup,” the company says ... Read More. Article written by Farm Equipment on March 15, 2017. 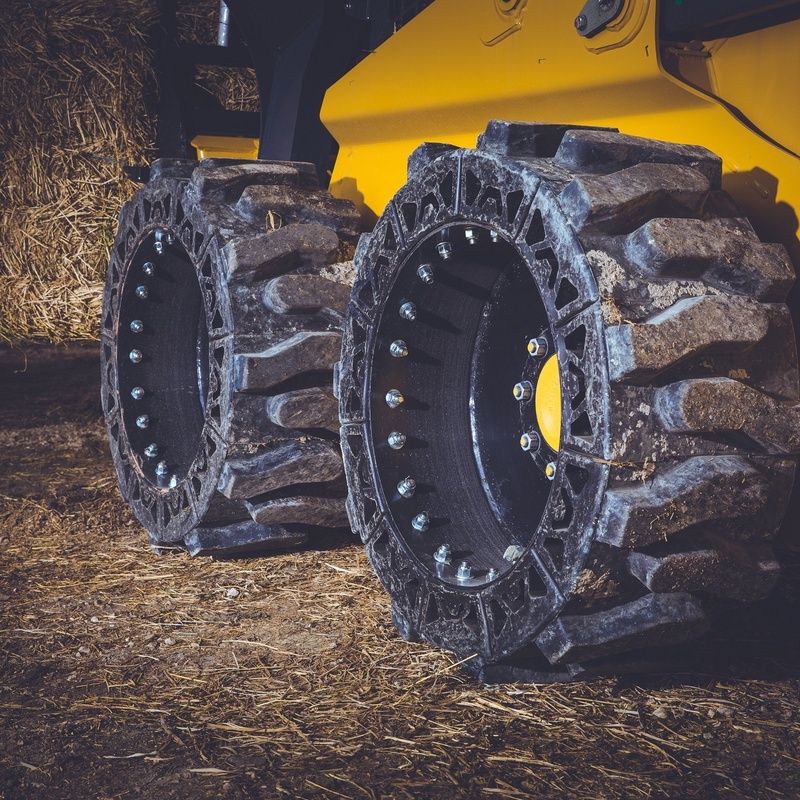 The EWRS Series skid-steer wheels from Evolution Wheel use non-pneumatic rubber tread segments that are resistant to damage but still offer a smooth ride ... Read More. Article written by Scott Garvey, Grainews on February 28, 2017. 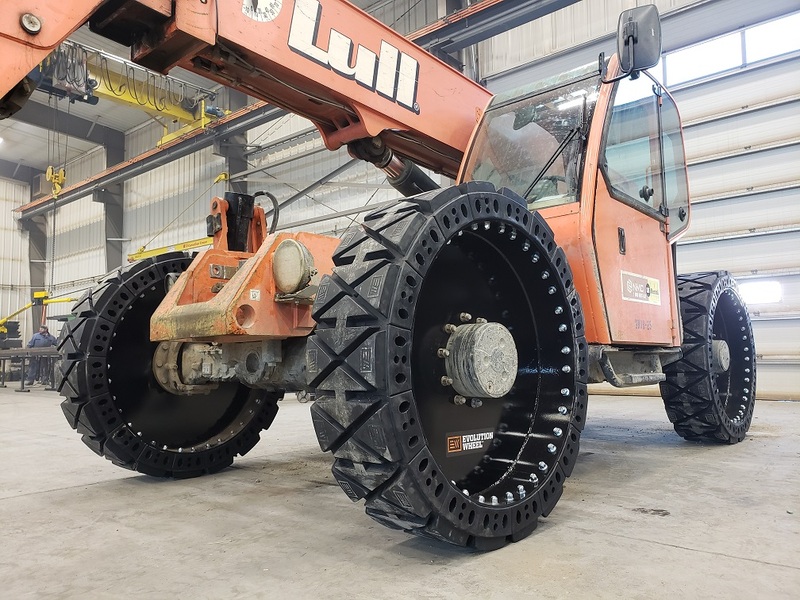 Evolution Wheel released its new EWRS-TH series of solid telehandler tires that can be repaired if damaged ... Read More. Article written by Lift and Access on March 6, 2019.